President Obama recently called out San Francisco for being America’s slowest-connected large city. And that’s ironic, because San Francisco is the cradle of so much technological innovation. Companies here are building amazing things, including some notable Sonic customers such as Maker Media. But when they go home, San Francisco residents are worse served than consumers in much of the rest of the country. Indeed the US as a whole has some of the worst connectivity in the developed world. Mr. President, we are changing that, right now. 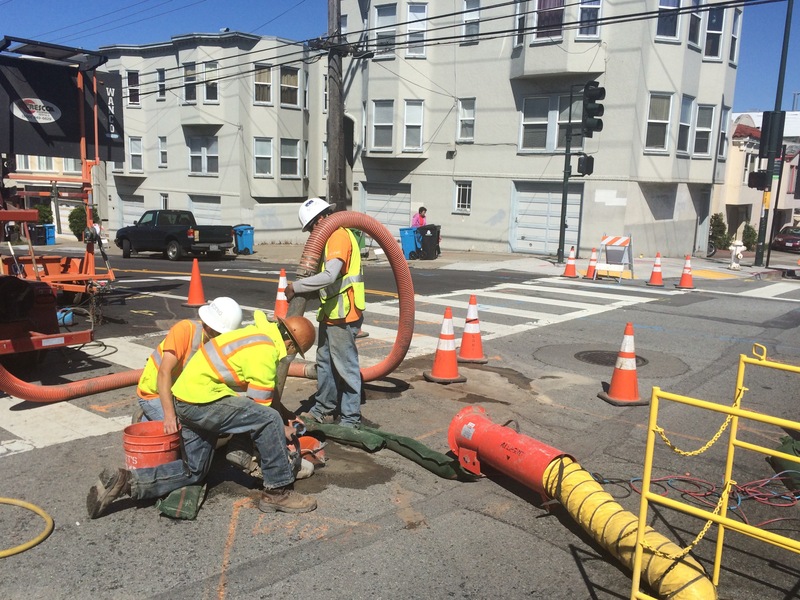 Sonic now provides Gigabit (1000Mbps) Fiber to the home service in San Francisco! San Francisco, and indeed every city, deserves for its residents and businesses the fastest possible connections, without caps, tiered pricing, or crappy customer service. We can do better. Sonic’s continuing mission is to build and deliver a better Internet service. Whether it is crushing artificial data caps and tiers, fair policies that protect our lawful customers, or just a simple, all-inclusive price, we’ve got a better way. In San Francisco specifically, the race is on now, and Sonic has the lead. As the first to deliver consumer-priced Gigabit Fiber to the home in San Francisco, we are thrilled to see our customers posting up awesome speeds, and telling us how thrilled they are with their new Sonic Fiber service. And for the people of San Francisco, to help bring Gigabit Fiber to every home, I have just two requests: Please join Sonic as a member, and even if we are not yet offering Fiber in your area, please click here to share what we are doing. 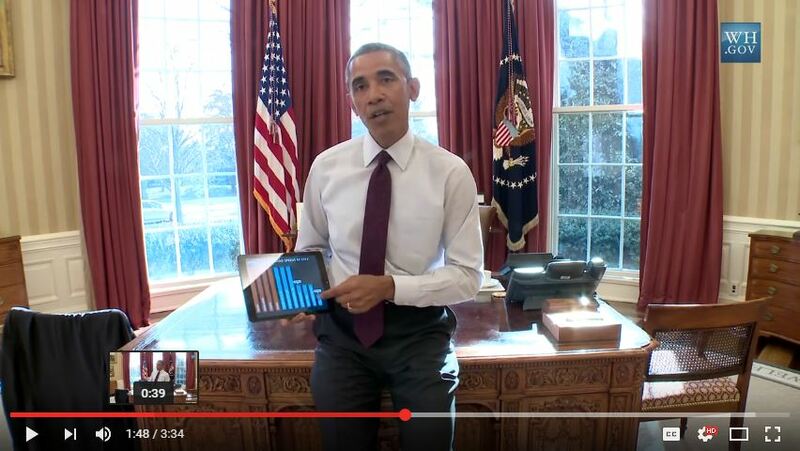 Together, we can fix Internet access in America. After years of planning and construction, I am happy to announce that Sonic has launched our Gigabit Fiber service in San Francisco. 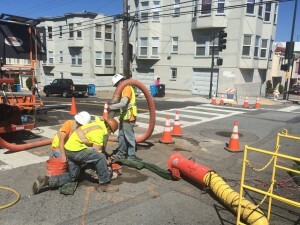 Sonic’s Fusion Fiber service delivers Internet access at one Gigabit per second, and is currently available for ordering or pre-ordering in the Sunset and Richmond Districts in San Francisco. Residents can visit our Gigabit page to learn more and check for available Sonic services. Sonic’s Fusion service is $40 per month. In addition to broadband at up Gigabit speed, Fusion also includes home phone service with nationwide calling, plus unlimited international calling to fixed lines in sixty six countries. Gigabit Fiber Internet access delivers speed of up to 1000 Mbps to the devices in your home. 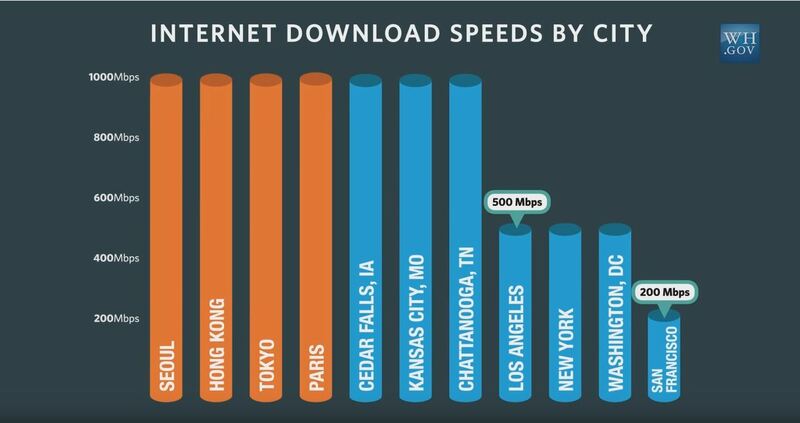 This is some of the fastest residential Internet available in the United States, with performance roughly 100 times faster than the average Internet connection in the United States today. Sonic’s Fusion service also includes home phone service with unlimited nationwide calling, plus now unlimited global calling to fixed line numbers in 66 countries and US territories, including popular destinations such as Mexico and India. Sonic has previously delivered Gigabit Fiber in Brentwood and Sebastopol, plus business parks in Santa Rosa, Petaluma and Windsor. Sonic is proud to be the largest Gigabit Fiber Internet provider in the Bay Area, and now, San Francisco’s first Gigabit Fiber Internet provider. 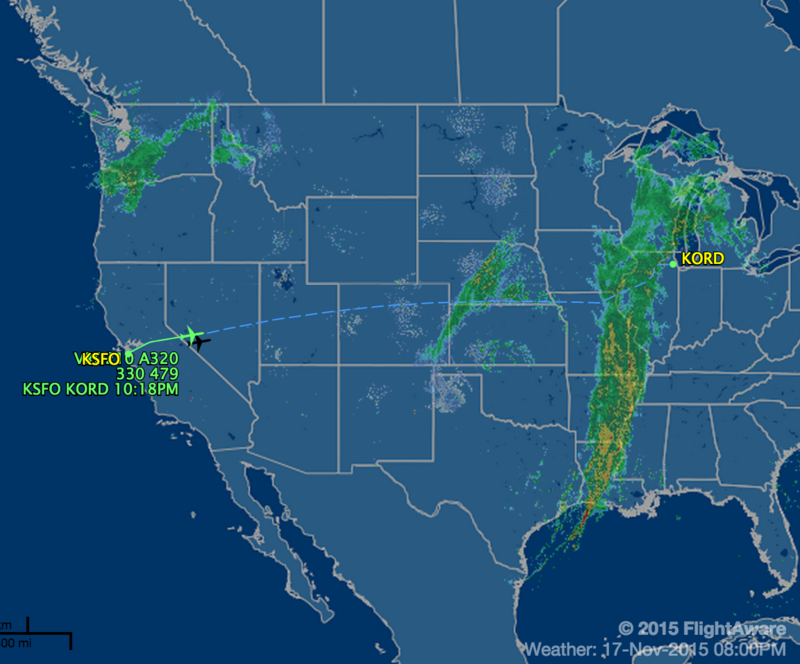 I’m flying across the US today, enjoying in-flight Internet access along the way. Internet access in the sky changes the equation for travellers, particularly for business users, allowing them to stay in touch and productive, despite zipping along at 550mph. While I’m feeling a bit spoiled by this handy access (and a bit disloyal to GoGo as I post this), the in-flight monopoly reminds me of some of America’s issues with terrestrial Internet access. Up here in the sky, I’ve got one choice, just as most Americans have just one choice for fast Internet access in their homes. At Sonic, our goal is to deliver more and more value for our members, at a fair and simple price. While we do from time to time run specials (like a month free, or a free Roku, or a monthly discount, or $5 off with a television bundle, etc) for new members, we don’t do the routine “call the cable company every year to threaten to cancel, fight, renew/re-negotiate” with our customers. No matter how you come in, you end up in the same place in the long run. That’s fair. Why? 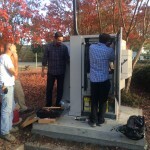 Because we’ve got a mission: fixing the state of Internet access in America. We want to partner with our members in that mission, and part of that is the financial support which you provide every month by being a member. Every dollar supports building a better product for you, our Sonic members. Fixing the Internet will take a huge movement, which is why we work so hard to recruit new members to our mission. That’s is why we love seeing our members referring their friends, family, and workplace to Sonic. Thank you very much for spreading the word about our mission. Together we can build a new Internet access model for America, beyond just one choice, beyond cable. One without artificial tiers and usage caps, with $40 gigabit fiber, while protecting the privacy of our lawful customers. It’s going to take time, and a lot of money. But it is possible, and I look forward to doing it, with the support of our members. Last year Sonic partnered with the award-winning Nomorobo robocall blocking solution for our Fusion landline phone service. Last Friday, the FCC validated that choice, affirming in a 3 to 2 vote a carrier’s right to offer robocall blocking to its customers. 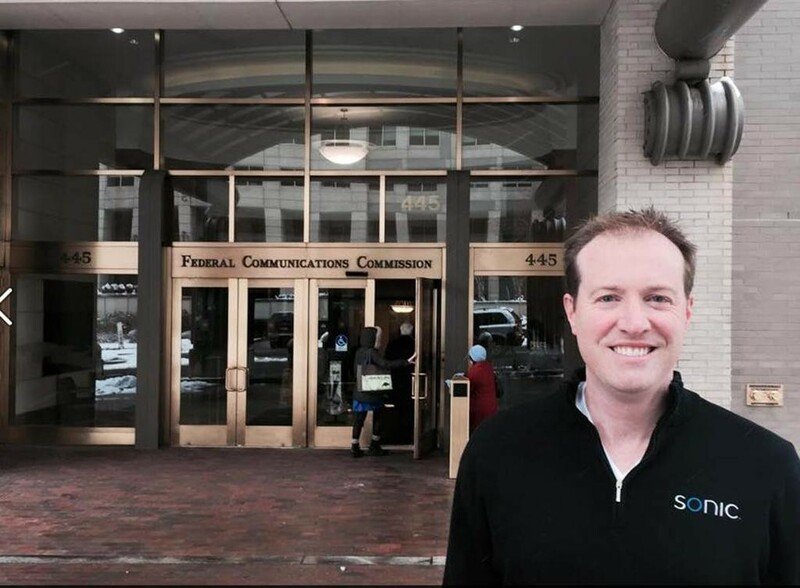 Sonic was the first US telecommunications carrier to integrate and deploy Nomorobo, and we are pleased that the FCC and FTC have supported our consumer-friendly policies on annoying and often fraudulent robocalling. Until this decision last week, it was possible that our decision to offer this free feature would be challenged, so we appreciate the FCC’s decision, and we thank the commissioners for their action on this issue. Sonic’s Nomorobo blocking feature has blocked over five million spam calls so far, saving huge amounts of time and frustration for our members. The Nomorobo feature is free for Sonic members, who can enable or disable it via our Member Tools. To learn more about robocalls, see Federal Trade Commission’s Robocalls page, which includes a thorough infographic on how robocalls work. Sonic’s integrated Nomorobo solution was a winner of the FTC’s 2013 Robocall Challenge. Protection of customer privacy is one of our core values at Sonic. We seek to provide as much transparency as possible regarding legal processes and customer privacy, so in furtherance of those efforts, we are releasing our fourth annual Transparency Report. This year we saw zero civil subpoenas, as compared with one in 2013 compared with nine each in 2011 and 2012. Law enforcement subpoena activity increased again in 2014, but as in the past, Sonic’s membership is growing so it is challenging to make a direct comparison between the years. This year we have added the broad bracket related to National Security Letter (NSL) items, where we are limited to a disclosure of a range, rather than a specific quantity. Sonic participated in filing an amicus brief recently on this topic, which can be found here. We have also made a number of updates to improve our Sonic.net Legal Process Policy document. The update makes clearer our retention policies for various types of customer records, and provides additional customer notification information. We have now begun tracking law enforcement orders which are subsequently withdrawn before customer information is provided. In 2014, three law enforcement orders which requested non-disclosure were withdrawn. One of these was re-issued under seal. Protection of customer privacy is one of our core values at Sonic. We seek to provide as much transparency as possible regarding legal processes and customer privacy. Internet and telephone service providers have a great responsibility both to protect their law-abiding customers and the public. We continually work to achieve both of these goals. Today, Sonic joins 43 other advocates, companies and organizations in urging the White House and Congress to move forward with reform of the National Security Agency’s methods for bulk collection of data. The NSA Coalition Letter calls for termination of these practices under the USA PATRIOT Act, a revised bill containing transparency and accountability mechanisms for company reporting as well as declassification for Foreign Intelligence Surveillance Court decisions. See the letter to the President and members of Congress below for details. I spent this week in Washington DC, focusing on policy and legislation. Comptel held its policy summit on Tuesday, and I lobbied in the House and Senate on Wednesday. Capping off the week, today the FCC voted for strong open Internet rules which will protect consumers from unreasonable behavior by carriers. It is important to draw the distinction between regulation of the Internet, and regulation of carriers. The FCC’s order will disallow carriers from discriminating against sources of traffic that their customers choose to access via the Internet. This is common carriage at its core, and as a carrier, I am supportive of being regulated as a common carrier by the FCC. I don’t believe we would have gotten here if the access marketplace in the US was truly competitive. Regulation became necessary because consumers have so few choices for their access to the Internet. If consumers could easily choose from many carriers, I believe this would have prevented the issues we have seen. I take some responsibility for this marketplace failure, and I know that we need to work to deliver more consumers a great competitive choice from Sonic. We are working hard to expand our reach, to improve performance and to increase the value of our service. We will continue that mission with renewed vigor in 2015. Please tell a friend about Sonic today. 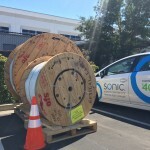 Sonic has completed Gigabit Fiber Internet construction in the business park network at the Sonoma County Airport, and last week began to activate new Gigabit business customers. The new network spans nine miles, passes hundreds of businesses, lighting over 200 buildings. Some of these locations only had T1 (1.5Mbps) services available prior to the build-out of Sonic Gigabit Fiber Internet. 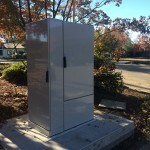 This is Sonic’s second completed business park fiber build-out, after the Corporate Center park in Southwest Santa Rosa which was completed last year. 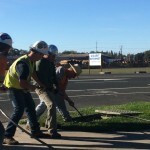 Next up, construction is underway to serve businesses in Petaluma off North McDowell and the Redwood business park. The business Gigabit Fiber Internet product offers Gigabit (1000Mbps) Internet access plus Hosted PBX to the desktop; a complete business communications suite. Pricing is $40 per employee or desk per month for Gigabit Internet access, cloud phone service and unlimited nationwide calling. Custom solutions are also available including building interconnection for campus WANs, SIP trunking, PRI and POTS. Business fiber services are part of Sonic’s overall fiber initiatives, and support the expansion of network capacity and backbone throughout our regional footprint. There are a number of threats to the Internet as a system for innovation, commerce and education today. They include net neutrality, the price of Internet access in America, performance, rural availability and privacy. But none of these are the root issue, they’re just symptoms. The root cause of all of these symptoms is a disease: a lack of competition for consumer Internet access. Lets call it like it is: in most of America, we’ve got a broadband duopoly at best. And it’s simple economic theory and best-practice capitalism that in an unregulated near-monopoly, you will see manifestations of policies, practices and behaviors that are not always customer friendly. If we accept that high speed Internet access is essential for modern life, the fact that we need a set of controls that assure that an entrenched operator won’t use their captive audience in an unreasonable way shouldn’t come as a surprise. But policies on neutrality can only fix one symptom of America’s ailment. They won’t help with the issues like price, speed, rural access or privacy practices. The real cure is an outbreak of competitive Internet access. But in 2004, the FCC took steps to limit competition, turning away from key provisions of the 1996 Telecom Act. They set aside unbundling requirements which serve as a key bridge for competitive carriers. By circumventing Congress this way, the Bush-appointed Chairman of the FCC was able to turn back a competitive tide, creating an intentional duopoly on Internet access in the US. While neutrality is the topic of the day, the real fix is to reinvigorate competitive Internet access in America. Competitive access in Europe supported by legislation similar to The 1996 Act has resulted in lower costs for consumers and far more choices in Europe. What Michael Powell decided to do hasn’t worked out as well for Americans. Today’s FCC should return to the roots of the Telecom Act, and reinforce the unbundling requirements, assuring that they are again technology neutral. This will create an investment ladder to facilities for competitive carriers, opening access to build out and serve areas that are beyond our reach today. I call on the FCC to reconsider the decisions of that past era, and to take steps to reintroduce UNE-L (unbunded network element: loop) requirements, including access to available dark fiber, which is a critical backhaul component for competitive carriers. Copper unbundling is only fully viable when the middle mile fiber isn’t missing from the equation. ps: Former FCC Chairman Michael Powell is now a lobbyist for the National Cable & Telecom Association. The Cable-company members of that association are the “robust” competition from “intermodal” (that’s cable) sources referenced above, and also provided a nice soft landing for a former FCC Chairman. How often does a regulator get the chance to create a monopoly, then go work for it? Too often.